That Random Barking “Out of Nowhere”: Every time someone walks in or out of their room or past my room, it can be heard by Ringo’s sharp doggy ears from the other side of my apartment, and of course, being such a big tough wimp he is, Ringo will warn those loud neighbors with an abrupt “BUH!” to scare them away. Sometimes, the sweet quiet little dog next door will answer back with its own “BUH!”, and then it becomes an argument between two dogs who can’t even see eachother and live hundreds of doors down from one another. What’s the best solution to this? Grab your dog and move into a different room further from the door? Clap your hands to interrupt your dog’s cursing? Call your dog over and stuff his loud mouth with treats? You can do that. I did these things at first since it’s a good way to stop your dog from barking in general, but when it happens EVERY time someone goes by or another dog decides to yell threats at your dog who’s trying to nap in his own room, it’s not very productive. As a dog trainer, you learn that the best way to stop your dog from doing something you don’t like is to keep it from happening in the first place; how do you keep everyone’s loudness from happening so that Ringo doesn’t bark? Block the sound from coming through the door. So for all you apartment newbies who have dogs who piddle on the way to the Potty Spot, be sure not to cut it too close. If Ringo begs at 6:00pm on the dot to pee, leave at 5:55pm (or maybe 5:59pm if you’re lazy) because the time it takes to wait for the elevator or make your way down those 50 flights of stairs could feel like a million years, and who wants to hold it for a million years when you don’t really have to? If you leave early every time and your dog still has issues, maybe the apartment is considered “inside” and outside of that is indeed “outside”. When I fostered dogs with Lucky Dog Animal Rescue, the wall right across from my apartment was considered a tree to some of my fosters. Let’s say that in addition to poo bags, you may find that carrying a few paper towels would be a good idea too while your dog gets adjusted to the apartment life! What I did to avoid accidents while waiting for the elevator was to continuously pace back and forth so that my dogs didn’t have a chance to stop and water the invisible plants on the hallway carpet. Sure, it might be tiring, but so is cleaning pee. Meeting “Friendly” Neighborhood Barkers: Remember that charming dog a few doors down? Well, you’ve just met him face-to-face while he’s trying to get of of the elevator that you’re planning to get into. Wonderful friendly neighbor dog is cursing at your sweet charming puppy who’s hissing threats to rip his face off. All you can think at the moment is, “Which way do I go? Which way do I go?” Where do you go? YOU GO AWAY! It may be tough with a big dog, but the best way to get away when both dogs are going nuts and yanking at the leash is to pull your dog toward you so that he’s close, and literally walk into him, and keep walking until you’re both far away from the opposing dog. You do this so that he’ll be too busy stumbling and tripping all over himself to realize that he ran away from the other dog in the most embarrassing-looking way ever. Dogs don’t want to be stepped on, obviously, so a successful way to make your dog move backward is to walk into him. Don’t kick or stomp on him; just walk. While you do this, you can say cheerfully, “Come on, let’s go!” so that once he’s done tripping and has forgotten about the other dog, he’ll then walk with you because, “Oh right! We’re on a walk!” If your dog tries to dodge you while you walk into him, no worries; just keep walking and pull him along. This is a good way to quickly get out of a bad situation when you don’t have time to call your dog or gently pull your dog back away from danger; talking loudly and yanking the dog can also be seen as you egging him on in some instances. A dog on leash acts differently than usual, so even a friendly dog can become defensive when another dog is snapping at them not even a foot away and the leash makes them feel like they won’t be able to run. The safest way to prepare for potential dog incidents is to make sure to stand far away from the elevator and position yourself infront of your dog before the doors open. When the doors open, check that no one’s there. You can make it a habit to tell your dog to sit and stay while waiting for the elevator too. When inside the elevator, make sure that, if there’s space, that you have your dog standing in a corner where it won’t be seen the moment the doors open, so if someone tries to come in with their dog, they’ll see you with a leash at the door and the dogs won’t see each other right away. It’d be good to have your dog sit and stay inside the elevator too. If walking down the hall and you see a dog up ahead, simply U-Turn and call your dog to follow you. Even if your dog is trying to look back and engage with the other dog, don’t scold him or stop; just keep walking and cheerfully tell him to Heel or Let’s Go. You can enter back into your room, or keep walking until the neighbor has entered their room, then U-Turn and continue on your way to the elevators as if nothing happened. This is a good way to deal with dogs outside too. Don’t let your dog get too close if you know the other dog will bark. If you see a dog and know he’s good, walk by (with distance), and always praise your dog for not reacting badly to it. Ringo doesn’t mind dogs, but he does mind some men, so I do the same procedure when he tries to bark at them outside or before walking into an elevator. Avoiding conflicts is better than dealing with them when you shouldn’t have to. Meeting Awfully Wonderful Neighbors: Not everyone loves dogs – It’s horrible, I know! – but it’s the truth. I actually had a lovely sweet little old lady say this to me when Ringo almost jumped up on her upon exiting the elevator – thankfully I was able to pull him away at the last moment before she blew a fireball in his face. It’s shocking to get jumped on when you’re standing RIGHT at the elevator door in a dog-friendly apartment building at the time everyone walks their dog, I guess. The fault isn’t hers though, even though I really feel that it should be. You can’t control anyone but yourself… and your dog. No matter where you are, if there’s a chance that a person could suddenly appear out of thin air near you and your dog will try to rudely greet them with excitement, it will happen. The best way to avoid conflict is to always keep your dog close to you, even when outside, until the last moment when he’s about to circle around and poop/pee on his Potty Spot. If you do otherwise, a nice little old lady will be assaulted by your horrid mongrel for no reason at all because you obviously “don’t know how to control your animal”. A 6ft leash is meant to be kept 1ft long when you live in an apartment because “that’s what they’re meant for!” Can you tell that I’m bitter? Yes. Yes you can. The Elevator is Scary! : Ringo never had this issue, but some dogs can be scared of the elevator. A good way to train your dog to accept it is to never FORCE your dog to use it. Take the stairs, as horrible as it seems, but, before you do that, take the normal motions of getting ready to go into the elevator. Walk up to it, press the button, and if the door opening scares your dog, back up a bit and let it open, then go and take the stairs. If you expose your dog to the dreadful elevator, but don’t actually make him go into it, he’ll soon become less afraid of it. Eventually, let your dog enter the elevator, and then walk back out and take the stairs. Do this every day until you’re sure he’ll be okay with the scary doors closing behind him and feeling the elevator moving down to the bottom floor. Once he can be in the elevator and it can move, maybe take it easy and go down only one floor so that the trip is brief. Eventually go down two, then three, then four, then a million floors at a time (I hope to God your apartment isn’t a million floors high) The elevator will then be seen as a great shortcut to the Potty Spot without ever having to take the stairs. Yay! Other Stuff: That’s the only issues I’ve come across (so far) while living in an apartment. What kinds of problems do YOUR dogs have, and what have you guys been doing to cope with them? Have any been successful, are still an issue, or were they solved thanks to this post? Feel free to share in the comments and let us know how wonderful (or horrible) your apartment life with your dog is! Categories: apartment, life, Ringo, Safety, training | Permalink. Hi, thanks for the article! So the elevator in our building is really loud and you can hear it every time it moves. I have a really reactive rescue dog with a very loud and high pitched bark that echoes down the shaft (even from inside the flat with the doors closed) and can be heard by everyone, inside and out. She will carry on at the lift all morning and afternoon and then occasionally in the evening. We have lived here for over a year now and it’s driving me and the neighbours crazy, could you offer any advice for stopping her from barking at lift? Good question! Dogs sometimes bark as a way to cope with stress or excitement. You’ll want to identify which thing it is. In the article, it suggests ways to get your dog comfortable with the elevator if afraid, but for a dog who is overly excited, using a distraction with high value treats is best. Bring high value treats that you never give to your dog at any other time – only for elevator rides. Choose a smelly treat with an interesting texture different from usual. If you usually feed dry biscuits, feed a chewy or freeze-dried treat. Make sure the treats are small and easy to eat quickly. 2. If your dog gets overly excited when approaching the elevator, “reset”. Say a cue to mark the bark (something you don’t say often, like “Too bad”. Or something similar) and walk back to your room. Once you get to your door, calmly wait for your dog to calm down. If she can’t within a few seconds, redirect her by having her sit or lie down. 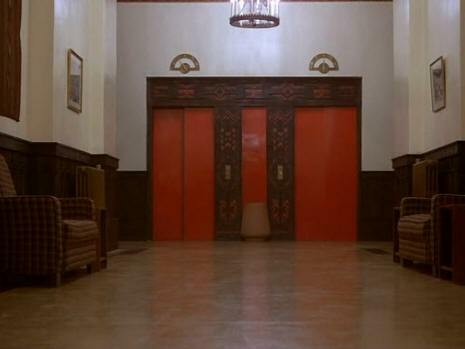 Reward the calmness by letting her appraoch the elevator again. If she gets excited again, rinse and repeat! 3. Once you can approach the elevator without too much excitment, have your dog sit and wait for the elevator to arrive. During the wait, if her attention is on the elevator, say her name to catch her attention, and if she looks at you, reward her. If she’s tol focused, reset. Being calm is the goal, so reward it! If it can’t be done, reset. 4. Once the elevator opens, step inside and, to interrupt the barking, drop treats on the floor and let her gobble them up. Of someone isninside, you can hand your dog treats instead. If she looks up at you after eating the treat(s), or is silent, peridoically reward her more. If your dog is eating, she can’t bark! 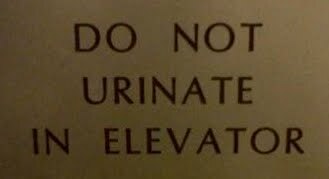 This will also teach your dog that the elevator is a fun and positive experience. If your dog likes her dog food, you can also reward her with that and skip a meal so she doesn’t get overfed with treats during training. Don’t expect an instant change, and if your dog has a “bad day” and reverts, don’t feel demotivated. You can do it! Good luck!